European Union regulators are facing a huge problem with Portugal, Italy, Greece and Spain (PIGS). The Mediterranean countries have a huge debt load that has existed since these sun-drenched areas joining up with the EU. As I wrote last year, these countries will take down the euro, because the PIGS cannot service its debt. Ireland and Iceland to a somewhat lesser extent have the capacity to hurt the euro as well, but appear to be moving to reduce its long-term obligations. Historically the PIGS have had no manufacturing base to rely on. Excluding northern Italians, which if you speak to them, say their economy to more closely tied to Germany, Switzerland and France than southern Italy. Prior to the EU the PIGS were always running on budgetary deficits and that only accelerated when the PIGS needed to get their economic house in order to fall under the rubric of the EU. There is a very small manufacturing base in the PIGS and the area relies heavily on tourism as its economic growth industry. What happens when the rest of Europe catches an economic cold and stays home the PIGS have to wallow in the muck. So you have the PIGS, which historically been the soft underbelly of the continent wanting to join the EU. So in the late ’80s you have Northern European countries trying to unify the area under one currency and economic system for trade, although they know their southern cousins don’t warrant inclusion, how would it look if Europe was not united to compete against the United States.. 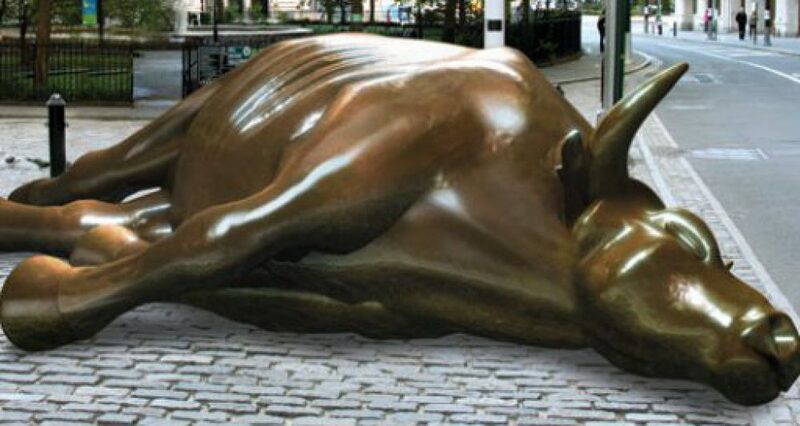 In steps Wall Street and Goldman Sachs to goose the books and slap a new coat of paint on the PIGS so Goldman can flip the debt and bring these companies inline with debt restrictions of the EU. With easy credit during the last ten years in the EU the PIGS used that credit like a revolving line of credit to pay last year’s debt with this year’s revenues. and it worked til it didn’t. Now the Northern European countries — Germany, England and France — need to bail them out or see the euro go away. Germany can survive quite nicely going back to the Deutsche Mark. Not sure if the English and French economies can say the same. I see a declining euro versus the dollar this spring. The euro breaking lower than $1.30 by April 1 with gold rising against the strengthening greenback. This entry was posted in monetary, Uncategorized and tagged breaking news, credit derivatives, currency, dollar, economy, Europe, gold, Goldman Sachs, LLoyd Blankfein, Obama, Trade wars, Wall Street by Michael Gray. Bookmark the permalink. Great post! This can aid many people learn about this matter. Would you like to incorporate video clips together with these? It will undoubtedly help out. Your explanation was spot on and owing to you; I perhaps will not discuss all sorts of things to my buddies. I can simply point them here. Panic attacks tend to be prompted any time somebody with by now higher-than-normal quantities associated with anxiousness experiences a look of more anxiety. This is often simple things like cruising throughout major traffic, browsing in the crowded ecosystem, being from a how you can cure social anxiety disorder packed pick up, organizing freak out healing pertaining to a strong assessment, or anything else. What goes on is the fact this specific mastering stress additional ‘spike’ connected with worry adds to your overall panic quantities and also forces anyone ‘over the top’.Your own other than conscious thoughts wrongly feels about this specific like a life-threatening situation indicators associated with panic and also, since it is primed to perform, shows its head movement a serious of chemical substance and also other actual variations to your mind and body to assist you to both attack this ‘danger’ or perhaps back off to be able to safety. The following is termed a person’s body’s ‘fight as well as flight’ result and also may be by using us seeing that primeval instances.